With time, your Artificial Turf, Synthetic Grass or AstroTurf surfaces will become worn in specific areas or lines may come loose from backing tape. We can cut out the affected area and replace with an identical carpet. Due to wear there may be some variance in pile length so this would be trimmed to give the best possible match. For lines that have come loose and are a safety hazard, we are able to either fully replace the line or if possible replace the backing tape and glue it into place. 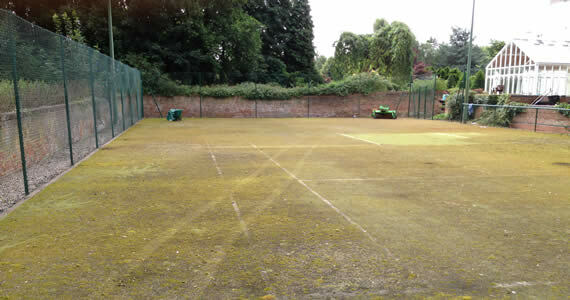 Moss and algae on your sports surface is due to warm, damp conditions. Artificial Turf, Synthetic Grass or AstroTurf surfaces are often surrounded by trees and / or bushes which provide shade and the perfect environment for growth. This looks unsightly but more importantly will become slippery and dangerous. 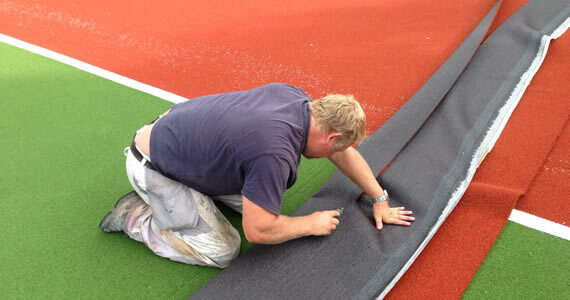 The migration of the infill on Artificial Turf, Synthetic Grass or AstroTurf surfaces means that periodically the infill will need topping up. Incorrect infill levels lead to excessive fibre wear, premature aging of the surface, inconsistent performance, and greatly increases the likelihood of compaction. With a reduction of sand in a surface, abrasion levels increase which may lead to injury. With 3G pitches, the rubber infill is used to reduce the impact between player and surface, so levels are vital. On some surfaces it may be necessary to remove excess infill or correctly re-spread across the whole of the surface. With time, the infill in your Artificial Turf, Synthetic Grass or AstroTurf surface will settle and migrate. With regular power and drag brushing, the surface can be levelled giving a true and consistent playing surface. We can also asses if the correct depth of sand is in place or if it needs altering. By using a power brush the tips of the fibres will also be lifted reducing the likelihood of compaction while the drag brush will agitate and level the fibres and infill. Taking out a maintenance contract ensures you get maximum performance and longevity from your artificial surface and it is never too late to make a difference. We are able to put a weekly, monthly, bi-annual or annual contract in place to ensure your Artificial Turf, Synthetic Grass or AstroTurf surface performs to its optimum all year round. We can offer a combination of any of our services to suit either the need of your surface or your budget. Rejuvenation is about returning your playing surface back to new. 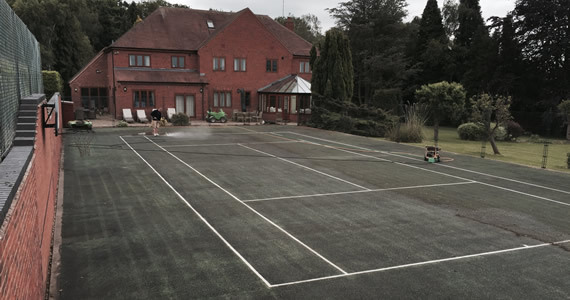 If you are considering resurfacing your existing court or pitch you should first consider Rejuvenation. Over time surfaces become compacted and suffer from build up of dirt, moss and algae. When this becomes too severe for our Deep Clean service, there are two options, to replace the carpet or to rejuvenate it. Rejuvenation improves drainage, de-compacts heavy use areas and returns the surface back to its original condition (allowing for wear). 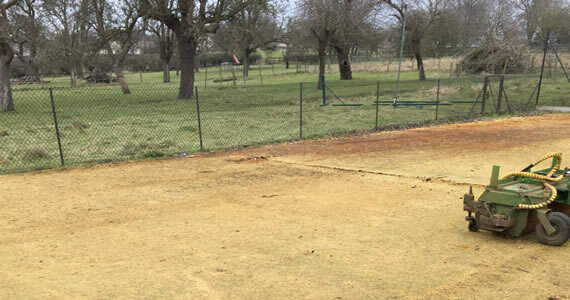 Successful Rejuvenation and a suitable maintenance program, will add a further 5+ years to the life of a surface which would otherwise have had to be replaced. 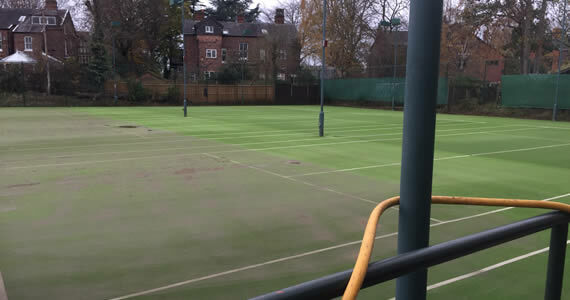 Courts can be sprayed to kill off any moss and algae but for more serious infestations, high pressure water and motorised brushes can be used to clean the courts. 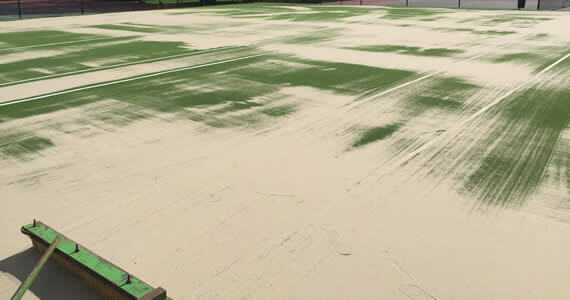 This is summer maintenance that should be carried out on Artificial Turf, Synthetic Grass or Astro Turf surfaces once or twice a year depending on factors such as: the amount of use, the surrounding area, environmental factors and the existing condition. Working with the latest technology, our Heorger Machine will remove the infill and any contamination from the artificial turf, separate the two and replace the granulate in the same position. A member of Astro Care will be more than happy to talk you through all services, costs and time schedules. 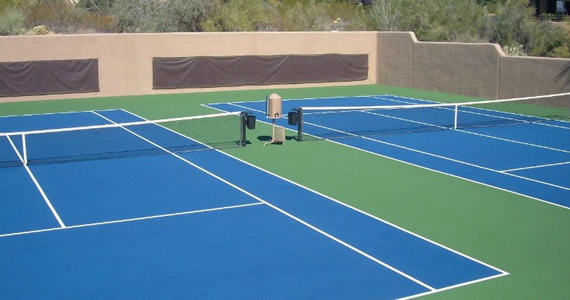 NEED HELP WITH YOUR TENNIS COURTS?